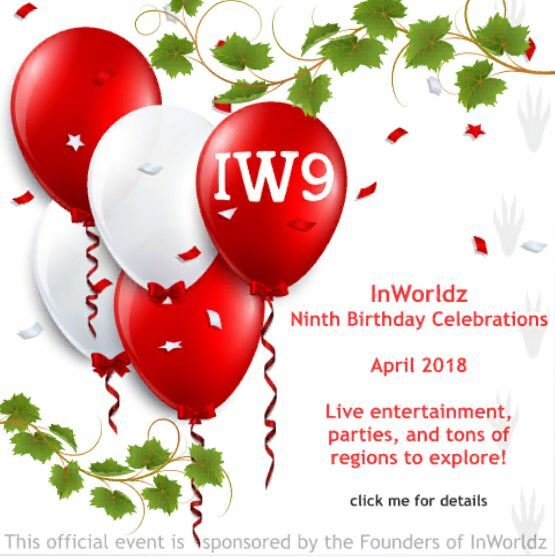 The InWorldz ninth birthday celebrations officially start on Sunday 1st April through until Sunday 29th April 2018. This year’s birthday is sponsored by the founders of InWorldz and it will be really amazing this year. The InWorldz ninth birthday celebrations will be held over at the InWorldz Events regions. There will be live entertainment, hunts, amazing art, a mesh Q&A panel, sim explorations and other fun activities happening next month. There will be two special birthday parties on 1st April followed by the 6th of April for the grand opening of Jurassic Isle project. The regular birthday entertainment events will take place from 7th – 16th April. The final IW9 birthday celebration event will be the Pyromusical by PyroVR on 29th April. The IW9 Event Schedule, landmarks, posters and other info can be picked up at the InWorldz Welcome Area. Everyone is invited to the IW9 birthday celebrations! This week Linden Lab announced fifteen reasons to celebrate Second Life 15th birthday which takes place in mid June 2018. On the list there was mention about the return of last names which is expected to go live in late 2018. Before then there are many things that have to be fixed on the back-end before last names can return again. The pre-set list with last names will regularly be changed to keep the fresh and the lab are thinking about last name suggestions from the Second Life community later this year. According to Hypergrid Business latest report for March 2018 it looks like OpenSim total land area is still increasing month on month. Apparently OpenSim land area gained a total of 3, 400 standard region equivalents this month. The number of active users increased by 1, 300 this month. 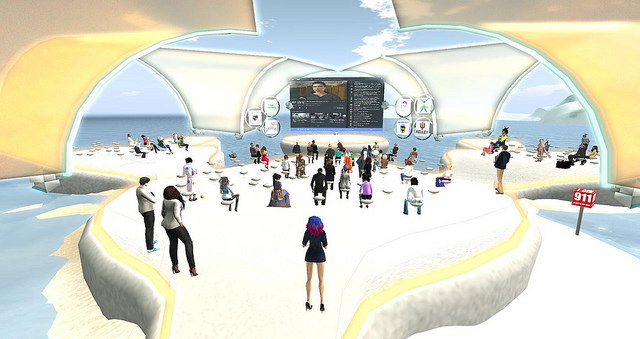 The biggest grid on OpenSim at the moment is the OSgrid with a total of 20, 203 standard region equivalents. Kitely comes in 2nd place with a total of 17, 372 regions followed by Atek Grid with just 7, 011 regions. The grids with the most active users at the moment: OSgrid with 4, 183 users followed by Metropolis with 3, 473 users and GreekLife with 2, 313 users. For some reason InWorldz have not reported their stats for this month or last month. Recently Kitely reached a new milestone of 100, 000 registered users with significant growth over the past year. The Kitely Market now has “11,566 product listings in Kitely Market containing 22,261 product variations, of which 17,218 are exportable. Kitely Market has delivered items to 257 OpenSim grids to date”.